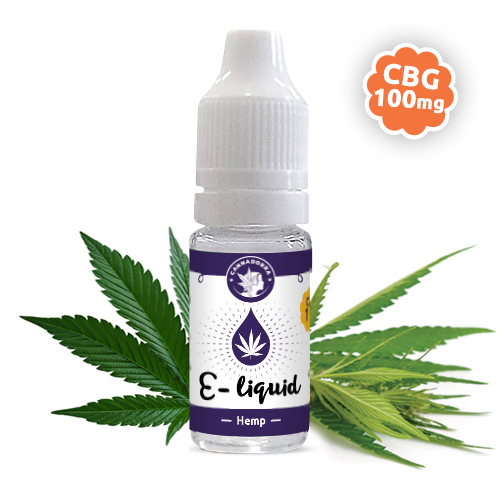 E-liquid with CBG suitable for electronic cigarette or vaporizer, OG KUSH flavor, 10ml, 0% nicotine, 1% CBG. The taste and flavor are supplied by natural hemp terpenes of the OG Kush variety. It does not contain THC, it is not psychoactive.